Broken Hill Health Service is a rural teaching hospital, providing acute, non-acute, outpatient services and community health to the Broken Hill and surrounding communities. It has general medical, surgical, obstetric, paediatric, dialysis and acute mental health beds, as well as theatres, palliative care, intensive and coronary care units. Support services include radiology and pathology departments, as well as a wide range of allied and primary health services. 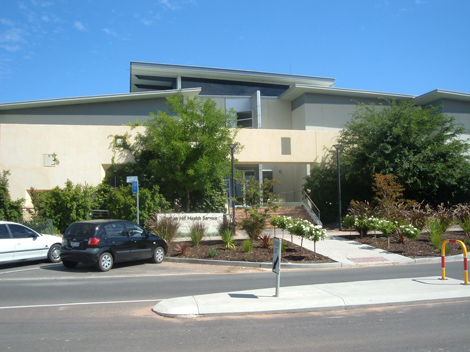 Broken Hill Hospital provides a wide range of medical services to the community through the provision of specialist clinics located within the Health Service. The specialist clinics are staffed by a combination of visiting medical officers (VMO’s), staff specialists, nursing and clerical staff who are employed by the health Service. The specialist services provided include: general medicine; general surgery; orthopaedics; ophthalmology; gastroenterology; cardiology; urology; oncology; plastic surgery; ear, nose and throat; nephrology and vascular surgery. Broken Hill also has four local GP surgeries. 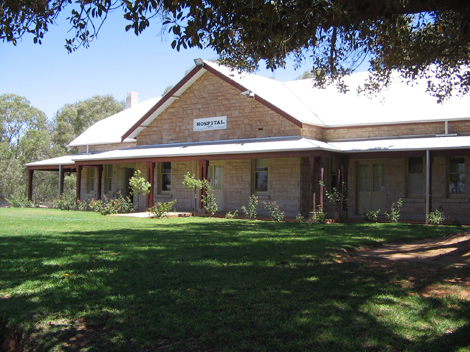 The Balranald Health Service is part of the Far West Local Health District. 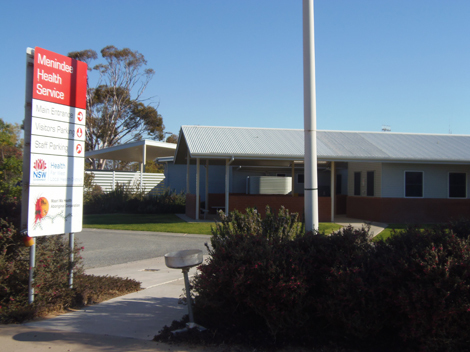 Balranald Health Service is a Multi Purpose Service (MPS) with 24 hour level 2 emergency and sub-acute inpatient services, residential aged care services, and a range of primary, community and ambulatory services. Residential aged care services are provided in an environment suitable for people with dementia. The full range of support services, such as allied health, are available. These services are provided by visiting clinicians from Mildura, Swan Hill and Dareton. The inpatient beds consists of a 2 bay emergency department, 8 acute/sub acute beds including an observation room, 1 observation/safe room located in the Emergency Department, 15 high care residential aged care places including 4 dementia specific, one respite bed and provision for 3 renal dialysis chairs. Medical services are provided by the town’s general practitioner, whose offices are co-located at the MPS facility. The Dareton Primary Health Care Service covers the Wentworth and Balranald Shire and provides a hub for a diverse range of services for the whole community. This clinic provides only primary health care and operates Monday to Friday during business hours. Services include those provided by Aboriginal Health Workers, who promote a primary health approach to address Aboriginal health needs with a focus on prevention, early detection and care. Visiting Services to Dareton and Balranald includes Obstetrician andGynaecologist Registrar, Endocrinologist, Social Worker, Dietician, Occupational Therapy, Speech Pathologist, Physiotherapy and Podiatrist. The majority of these clinicians visit from Mildura or Robinvale, in Victoria. There are no medical services provided on site at the clinic. Patients are either referred back to their own general practitioner or to the Coomealla or Mildura Aboriginal Medical Services. The Ivanhoe Health Service was built in the 1960’s, and is now primarily an outpatient general and specialty clinic, with local emergency and trauma services provided. There are no inpatient beds in this facility. The hospital has full time registered nurses, professional and well-qualified Aboriginal Health Workers and support staff. A 4WD ambulance is operated from the hospital. Ambulance officer training is provided by the Ambulance Service of New South Wales. The ambulance is fully maintained at this site by the Ambulance Service. There are holding beds for patients needing evacuation by the Royal Flying Doctor Service, and a 24 hour accident and emergency service, including on-site radiography. Medical support is provided by the RFDS who visit weekly and provide emergency medical care. Maari Ma Health Aboriginal Corporation also provides a chronic disease GP who visits the clinic every 6 weeks. A range of visiting specialists (Endocrinologist, Cardiologist and Renal Physician) conduct regular clinics on site. 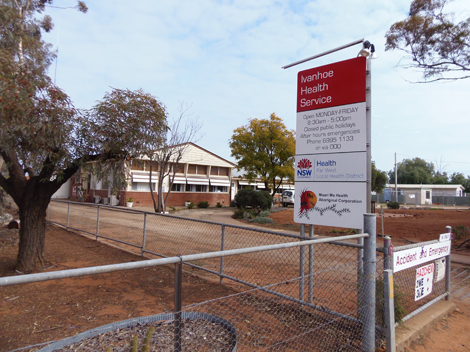 Menindee Health Service is a primary health care facility staffed by Registered Nurses and Aboriginal Health Care Workers. The service is open 6 days per week (Monday to Saturday) with staff on call for emergencies out of these hours. The RFDS runs General Practice clinics up to three days per week at Menindee Health Service. Patients requiring hospitalisation are transported to Broken Hill either by road ambulance dispatched from Broken Hill or by RFDS fixed wing aircraft. 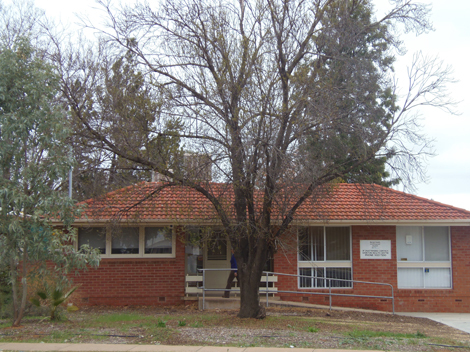 A number of health specialists provide services to Menindee including o utreach Broken Hill Health services such as Drug & Alcohol, Mental Health, Sexual Assault, and Oral Health. Maari Ma Health Aboriginal Corporation runs chronic disease clinics in Menindee 1 to 2 days per week. Maari Ma Health also provide visiting speciality services, including cardiology (with echo technician), renal and endocrinology. 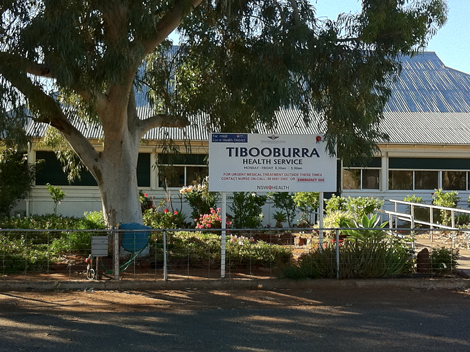 The Tibooburra District Hospital operates as a primary health care clinic from 8.30am to 5pm, with emergency services provided on call as needed. No inpatient beds are available. There are 2 registered nurses based in Tibooburra. The nurses share an on-call roster. Medical services are provided as outreach from Broken Hill through the Royal Flying Doctor Service (RFDS). There is a GP clinic 1 day per week and visiting specialists throughout the year. Employment at Tibooburra attracts “Special Rates and Conditions” of seven days additional paid leave and an allowance of $1650 per annum. The Wentworth Health Service consists of a 20-bed health facility with 16 unfunded aged care beds, four acute beds and a two bay emergency service area. The facility is located just outside the Wentworth community and the site contains multiple aged buildings which are no longer in use. The local Day Care Centre is co-located with Wentworth and the Home and Community Care team also share this accommodation. A private residential aged care facility is located in the town centre in Wentworth, as are two small GP facilities. NSW Ambulance Service has a base on the edge of the town. 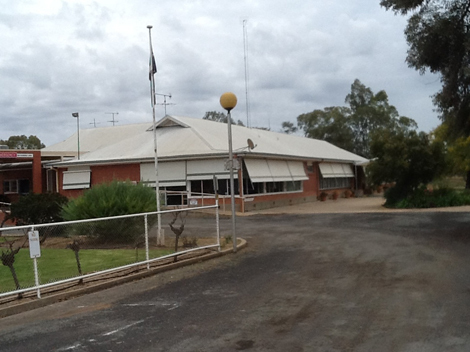 The main primary health facilities within the Shire are located in Dareton. Coomealla Aboriginal Health Corporation has a primary health facility across the street from the LHD primary health facility in Dareton. It has office space, clinical space and group activity space. 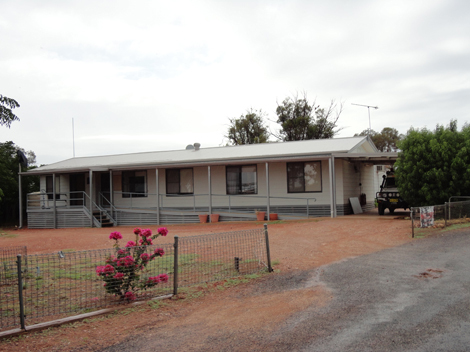 White Cliffs Health Service is located 100kms from Wilcannia on the fully-sealed Opal Miners Way road. The facility operates as a primary health care clinic from 8.30am to 5pm with emergency services provided on call as needed. There are no inpatient beds. Medical services are provided as outreach from Broken Hill through the Royal Flying Doctor Service. A GP clinic services the town 1 day per week with allied health staff visiting throughout the year. 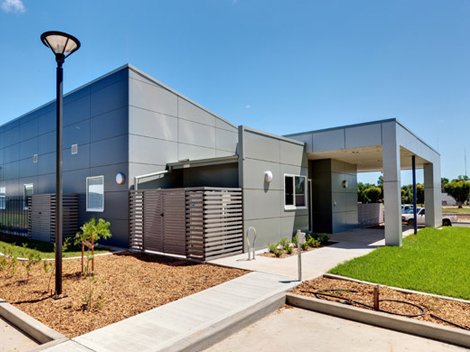 Wilcannia Hospital was redeveloped as a Multi Purpose Centre and officially opened in 2002. The MPS provides integrated services including community health, 24 hour emergency care, ambulance, in-patient and residential aged care places. There are 3 commonwealth funded high care places and 5 community packages available in Wilcannia. Although there are no designated “acute beds” there is facility for short term low risk admissions with the approval of the Royal Flying Doctor Service medical officers. The old hospital section has been converted into a community health facility and now houses the Primary Health Care team. Medical services are extensive and include a wide range of specialities. Visiting specialists include Cardiology, Renal, Endocrinology, Dental, Ear, Nose and Throat, Audiology, Dermatology, Podiatry, Ophthalmology and Addictions. The RFDS provide a minimum of 3 clinics per week, which is supported by telephone consultations and emergency retrievals. Maari Ma Health has regular twice chronic disease clinics, which has reduced the number of emergency presentations to the service.